When Ashley was in chef school, one of her teachers said something in class that stuck with her - "do something really well." This is hard to do in this day and age because we have so many choices. It's so easy to get distracted, or end up with what I like to call, shiny object syndrome. But Ashley knew that she loved being a pastry chef, and more than that, she realized that she truly enjoyed working with yeast. For you and I, that might sound a bit odd. However, it makes complete sense for someone that works in the dessert world all day long. She always knew she wanted to own her own company at some point in her life. She was working long hours in the restaurant business, had moved around from one establishment to the next, and was sought after in the fine dining industry. But her love for food and community stemmed from when she was a kid. She comes from an extremely large family - her father was one of 11 kids in (you rarely hear of that anymore) and her parents and other family members owned a restaurant growing up. So some might say it was already in her blood. But opening up a brick and mortar Doughnut shop wasn't exactly the plan. Glory Hole Doughnuts originally began as a wholesale business. She was a one-woman shop for quite some time, until it started to grow faster than she could make the doughnuts. 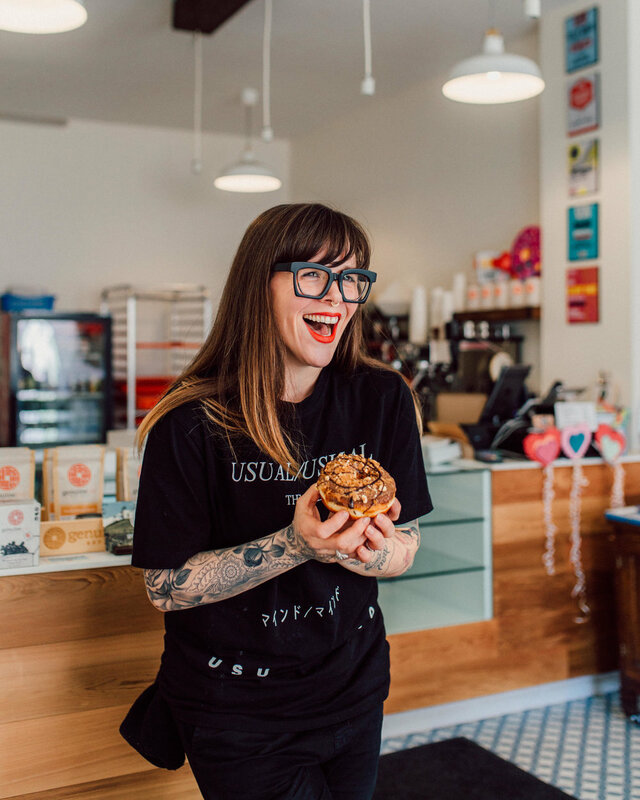 Check out the podcast to hear how Ashley created her vision for what is now, Glory Hole Doughnuts and where she plans on taking it in the future. What was the beginning of being an entrepreneur like for you? Where did the idea for the name come from? How did people respond when you first opened your shop? Where do you get the inspiration for your doughnut flavours? What is the process of making the doughnuts like? How do you hire the right team who will help you bring your vision to life? What's been the biggest struggle of being a solo-preneur? Do you ever pinch yourself that this is your life? How do you see the business growing in the future?